Looking for a way to personalize your favorite pair of Dr. Martens Shoreditch or Dr. Martens Hackney boots? This DIY is for you! It's time to raid the craft store and make your own charmed, chained, beaded and brad-ed creations to add just a little unique you-ness to your boots. For this DIY it would be helpful know a little bit about working with chain findings, beads and beading pliers. If you don’t, today is a good day to start learning! Search the web for jewelry-making basics for some quick and easy tutorials. 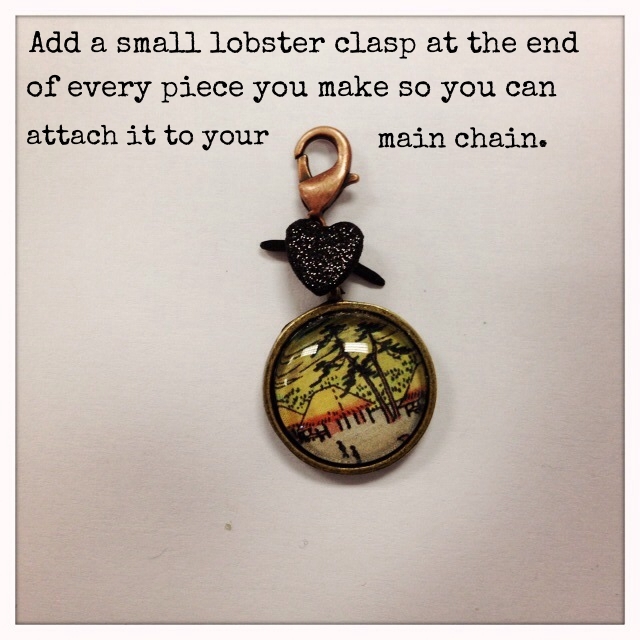 Attach one of your extra large lobster clasps to the end of your chain with a jump ring. Measure out the approximate length you want the chain to loop around the back ankle of your shoe. Use the cutting pliers to cut the chain and attach the second extra large lobster clasp to this end. When in doubt, it’s usually best to err on the side of extra length since you can always cut it back later. Start designing! You might want lots of beads and brads and charms, or you might want just a select few. 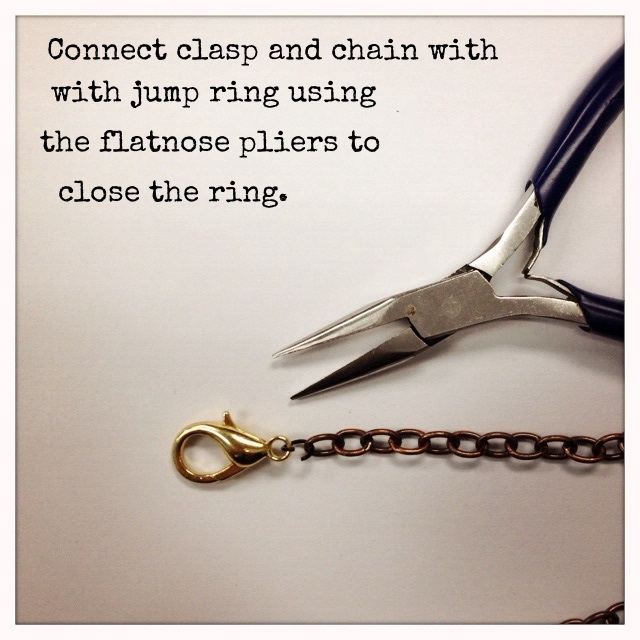 Use your needle nose or round nose pliers to create loops on your pins and jump rings to attach any two components. We veered toward simplicity for this example. Most of your time will be spent making a mess and playing with the possibilities. Once you have something good, you’ll know. 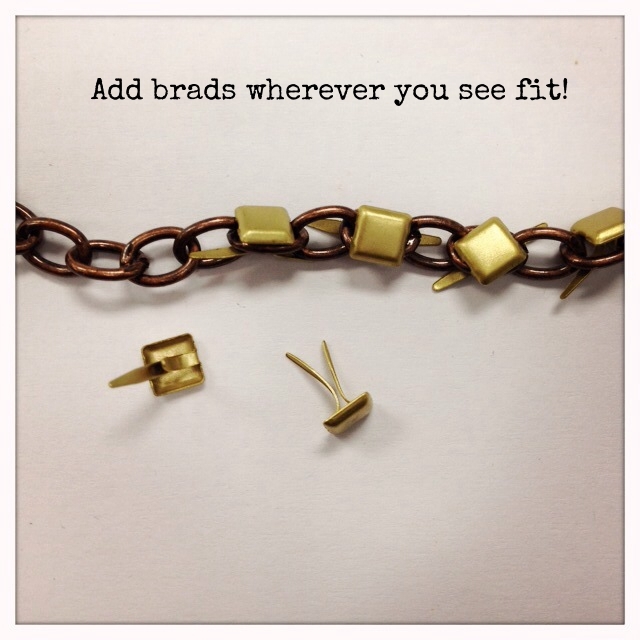 Attach your beads and charms to the main chain anywhere you want. Enjoy your finished project!